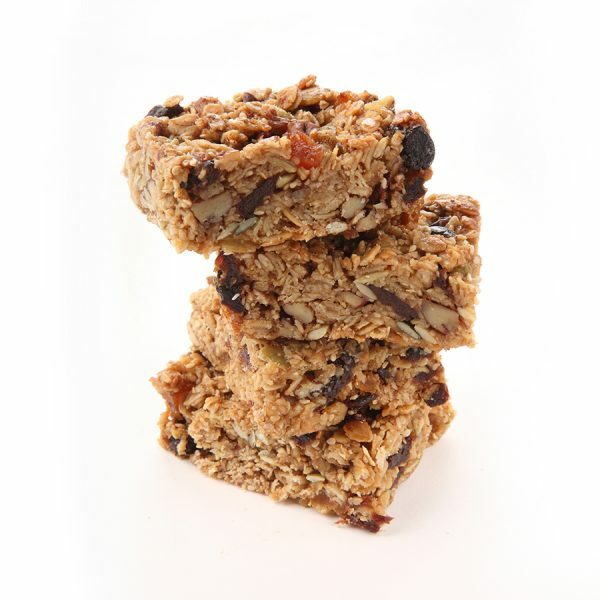 Granola squares - home cooked food delivered. We think our granola squares are simply the best around – as evidenced by their winning a gold star in the 2013 Great Taste Awards. These satisfying snacks are everything you would expect from the perfect granola: tasty, rich, sticky and crunchy, all at the same time. (NUTS)Toasted pecans, dried apricots and cranberries, sour cherries, pumpkin seeds, SESAME SEEDS, ground almonds, whole rolled oats (gluten), cinnamon, salt, unsalted butter (MILK), honey and demerara sugar. Store in an airtight tin once opened. Use within 10 days of purchase.